More than just a day care, the infant at our programme starts his/ her learning journey with us. We work with the parent to make the transition a smooth and happy one. 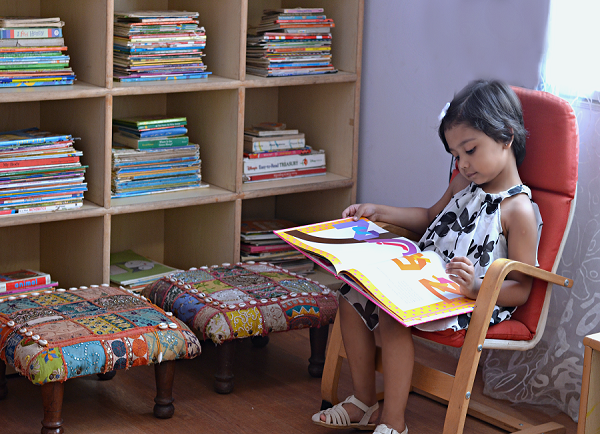 We offer a rich and warm environment to facilitate the optimum development of infant minds and bodies. Our infant care programme is designed in a way so as to engage the child’s five senses in order to promote the natural instincts of curiosity and discovery. Inside the Infant's day Our facilitators set up the classroom using a variety of textures and colours that fosters sensory stimulation in infants. Toys and equipment provided to the infants promote physical and sensory development. The facilitators sing simple action songs and rhymes that encourage the infants to follow simple actions. When a toddler is observing and manipulating materials in the environment, they're discovering their world. The activities for this age group are focused to promote a toddlers' limitless curiosity and their natural desire to explore the environment. 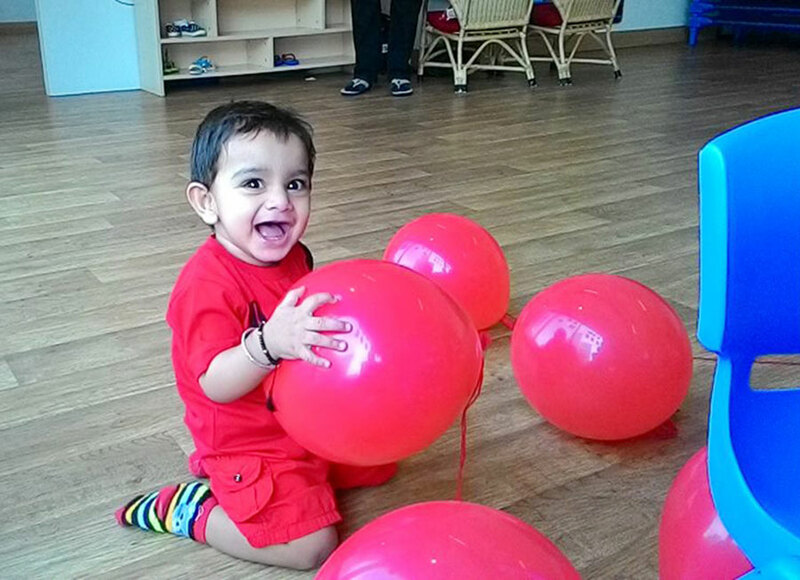 As the toddlers participate in various routines, our caregivers facilitate the toddlers to develop confidence in independently initiating tasks. 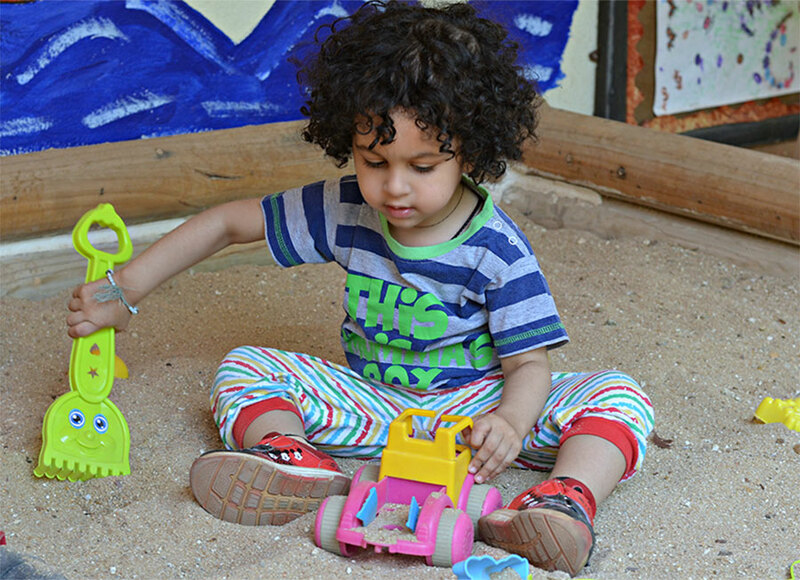 Inside the Toddler’s day During their time with us, our care givers focus on channelizing the toddler’s innate curiosity as they plan activities that promote reading and writing skills, problem solving, gross and fine motor development and so on. The activities also provide the toddlers opportunities to participate in small and large groups. This further cultivates social skills of turn taking and sharing. The program provides a safe, nurturing, and stimulating environment where learning flourishes. It utilizes developmentally appropriate materials and practices that enhance the child’s social, emotional, physical, and intellectual development. With improved coordination and thinking the world begins to open up for preschoolers. Our programme enhances physical skills, introduces language, science and social skills in a natural sequence to enable learning one step at a time. We provide individual attention suited to the child's unique needs to facilitate learning and development. Inside the Pre-schooler’s day Each day the child explores a variety of concepts through pretend play, stories and other activities. The activities planned reflect an understanding that children learn through active involvement and play and that children demonstrate and represent their knowledge in ‘100 different languages’. The preschoolers observe and create simple patterns, explore cooking and art, learn language and other concepts. At Vivero, we recognize the growing physical, intellectual and social competence of the increasingly independent school-age child. 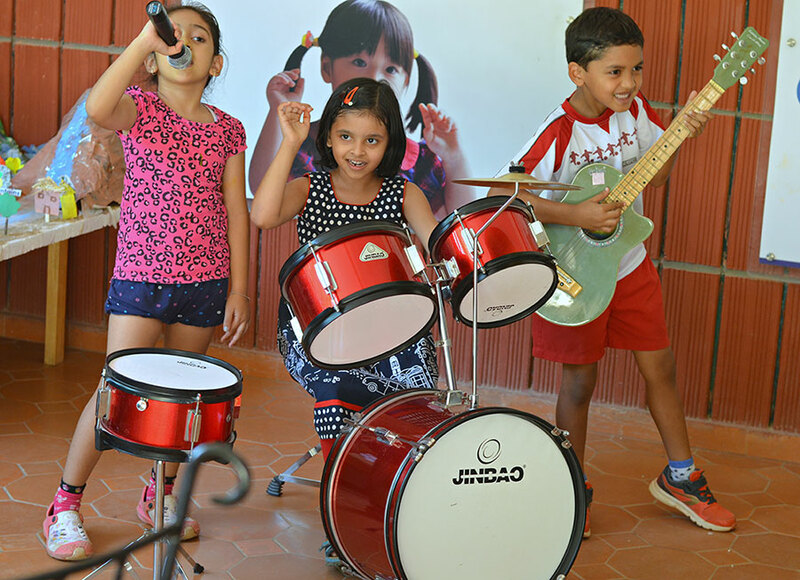 Eager to expand their knowledge of the world, our program perfectly blends learning opportunities in a fun environment for maturing school-age children. We offer children, time to wonder, explore, touch, sense and solve in many different ways. Inside the After-schooler’s day The children indulge in fun physical activities, learn science concepts, explore various art forms and how they extend into daily life and inculcate good reading habits.